Less stress, more living… Many of us understand how true this saying is, and many of us know how harmful stresses can be to our health and to our longevity. Stresses, especially chronic stresses, is something that surround us, we have to face stressful things and stressful situation on a regular basis in our business, private, and social life. Anxiety, constant fears and worries, pressure, inability to have a proper rest and get a proper sleep, depression and phobias are among the most common and the least dangerous symptoms of stresses. However, those people who do not know how to handle stresses and how to use effective stress management techniques are at very high risks of developing quite serious health problems, losing great career opportunities and failing to achieve great heights in this life! Fortunately, there are quite a few of excellent and easy approaches to managing stresses. Those include physical activities of various kinds, socializing and making new friends, trying new hobbies like knitting or fixing jigsaw puzzles, traveling, reading books or playing online games, and many more. It is very interesting that mastering relaxation techniques which came to us from medical practices of ancient Indian and Traditional Chinese medicines are considered very powerful and very healthy stress management techniques. At the same time, it was only recently discovered that using such common health care and relaxation practice from South Asia as acupuncture can be a good solution to reduce stresses. As the latest studies have shown, those who choose acupuncture make a very good decision and have better chances to handle stresses in a better way. Acupuncture is an ancient practice of using special needles that a specialist inserts to specific points of human skin in order to stimulate certain areas in the body and improve the function of one or another system or organ. Acupuncture is considered exceptionally effective for treating a great variety of health conditions, starting from slowed down metabolism and ending up with lowering the risks for serious cardiovascular problems. 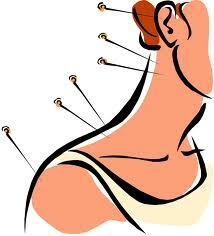 It turned out that acupuncture can also be used to reduce the symptoms and levels of stresses. A recent study by a group of experts of Georgetown University helped to understand biological mechanisms of this stress management technique, and found scientific evidence to the fact that for some people acupuncture can work better than known antidepressant drugs. “Many practitioners of acupuncture have observed that this ancient practice can reduce stress in their patients, but there is a lack of biological proof of how or why this happens. We’re starting to understand what’s going on at the molecular level that helps explain acupuncture’s benefit,” the study leader said. The scientists encourage those who are looking for effective stress management approaches to try this ancient one. They say that as the experiments have demonstrated, it is possible to achieve very good effects in just two or three months of using acupuncture two-three times a week. In order to maximize the effects, it is recommended to combine this technique with visiting a psychologist or any other stress management solution which works well. 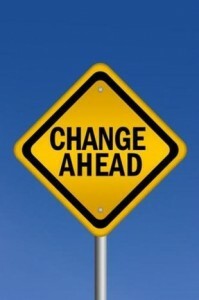 Try acupuncture for stress management, and you will not regret! We know a lot about harmful effects of stresses, and many experts would agree to the fact that it is hardly possible to find a more harmful and destructive factor for our health, productivity, and wellbeing, than stresses. They cause depression, anxiety, nervousness and chronic nervous tension, which can turn into other very serious psychological problems. Stresses can bring to more serious health conditions and cause serious cardiovascular disorders, serious problems with nervous system, and so on. Besides, stresses affect productivity, self-esteem, personal satisfaction of a person of everything he or she is doing and experiencing. Stresses are very common reasons of many failures at work. They create obstacles for us for achieving success and feeling comfortable in this life. Stresses can cause serious problems, that is why we are trying to master effective stress management techniques and learn how to deal with stresses, how to lower their destructive effects, and how to decrease their negative effects on our life. Thus, we master such approaches to stress reduction as yoga, exercises, jogging, other physical activities. We spend time with friends and make new friends. We try to find free time for visiting theaters, concerts, going to trips and spending time in some inspiring locations. We master new hobbies and spend time knitting, lace-making, gardening, cooking, solving puzzles or crosswords, playing guitar or another music instrument, and so on. We are constantly looking for more stress management techniques to learn how to protect ourselves from the bad effects of those. Recently, the findings of one interesting related study were published stating that being an optimist and looking at this life with positive attitude can be an excellent stress management technique. Those are the findings of a scientific group of Concordia University, which carried out the experiment involving a group of volunteers who specified themselves as being optimists and pessimists. Besides, all of those also reported that their daily life is linked with constant chronic stresses which they are trying to fight against. 135 volunteers were asked to give samples of their saliva 5 times a day for a week, at that they were interviewed about the amount of stresses they had to encounter, as well as about their feelings and evaluation of their ability to manage stresses. However, not only personal opinion of the participants was taken into account by the researchers. They also analyzed chemical content of the participants’ saliva in order to estimate the effects of stresses. Mainly, the scientists were interested in the amounts of cortisol, the steroid hormone associated with stresses, as well as some serious diseases. After analyzing the received results, the scientists were surprised to find out that those participants who identified themselves as optimists had must better abilities to regulate the amounts of cortisol in their system compared to those who identified themselves as pessimists. According to the report, pessimists had higher basic levels of cortisol in their body, and when they were exposed to stresses, they could hardly manage to decrease cortisol levels to the normal ones. At the same time, optimists tended to have higher levels of basic cortisol compared to pessimists. But when optimists were exposed to stresses, they could manage to decrease cortisol levels very effectively and more successfully compared to pessimists. Therefore, the researchers came to the conclusion that being an optimist is a great tool to decrease stress and can be a great stress management tool. Try to learn looking positively at life and develop optimistic approach in order to manage cortisol more effectively and decrease negative effects of stresses. Keep positive and enjoy this life, whatever it takes!